FULLY SERVICED!! 4 door, 4x4 Ram! Very cool color, Light Khaki Metallic! Wood grain interior trim, power seat, aux. 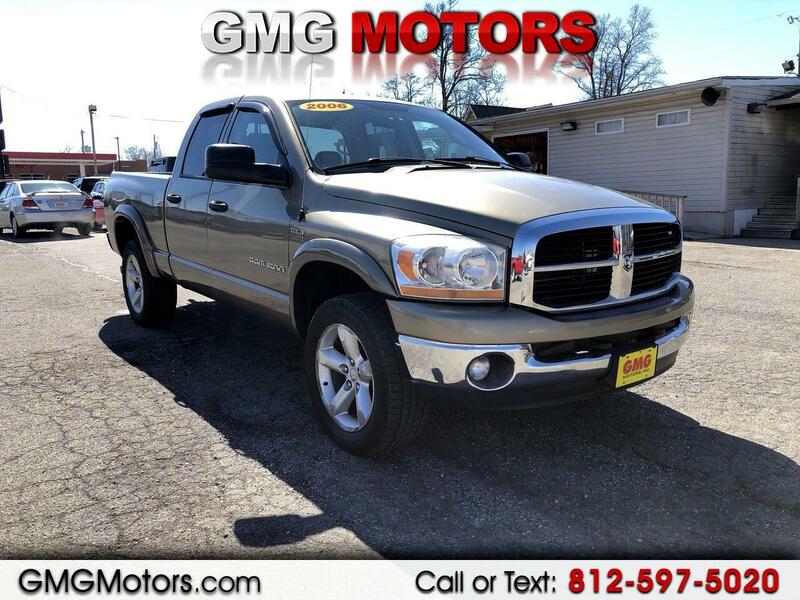 input, keyless entry, bedliner, tow package and more! Powered by the great 5.7L Hemi V8 engine! $2000 DOWN! Come see us at 50 N. Marion St. Morgantown, IN 46160 or call at 812-597-5020. We look forward to doing business with you!